Dr. Amy Hanes received a Bachelor’s degree in Recreational Therapy from Central Michigan University, a Master’s degree in Administration from Central Michigan University, a Post-Masters Specialist degree in Psychology from Michigan School of Professional Psychology and a Doctoral degree in Psychology from Michigan School of Professional Psychology. 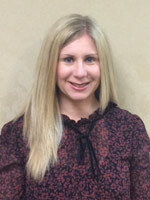 She has extensive clinical and neurorehabilitation experience working in a variety of settings including inpatient psychiatric, outpatient clinical, home and community environments, school and university counseling settings, adult day programs, and PACE (Programs of All Inclusive Care for the Elderly). Dr. Hanes provides individual psychotherapy at Renee Applebaum, Ph.D., P.C. She practices from an integrative model of treatment, which includes a combination of cognitive-behavioral, psychodynamic and humanistic techniques as well as motivational interviewing. Clients report high satisfaction in treatment with Dr. Hanes, reporting that treatment was non-judgmental, empathic, and provided a safe environment for self-disclosure and promotion of change. Dr. Hanes specializes in providing psychotherapy to highly sensitive adults, victims of trauma, individuals who have suffered traumatic brain injuries as well as chronic health conditions, anxiety, depression, adjustment disorders and other psychiatric conditions. Dr. Hanes is an adjunct faculty member at Oakland Community College.